The Cass County Conservation Board is holding a Wildflower Walk! The program will be held at the Pellett Memorial Woods outside of Atlantic IA on April 30th 2016 at 9 am. FREE! Oak Strollers Nature Club for Families are welcome to join at this event! 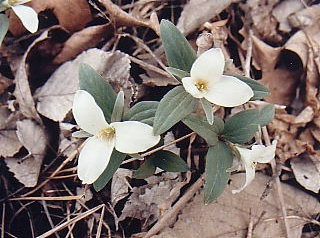 Join our staff for a walk through the early spring wildflowers. Learn the names, uses and history of these Wildflowers. Those in attendance will have the opportunity to view one of Southwest Iowa’s best locations to observe spring woodland wildflowers. Pellett Memorial Gardens is located just outside of Atlantic, ½ mile north and ¾ mile east of the KJAN radio station. We hope you will join us!